In the annealed condition, these steels consist of ferrite and carbide, essentially Fe3C but with a portion of the carbide formers present. If we consider the O1 as typical, manganese and chromium in solution in the matrix considerably increase the depth hardening, enabling sections up to 40 mm diameter to harden throughout. Among the most useful features, placing this group in a class on their own as general purpose tool steels, is their low temperatures heat treatment with correspondingly low moment in hardening. The O2 steel, excluding the optional molybdenum addition, shows possibly the least movement of all due to the slightly higher manganese addition and therefore marginally lower austenitizing temperature. On the other hand, the O1 steel will possibly show slightly less tendency to crack when intricate sections are hardened, due to the 0.5% Cr and W addition and slightly lower manganese, the combination of which restricts grain growth and hardening temperatures. 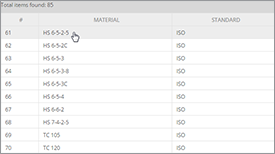 The O7 steel has the best wear resistance of the series but the lowest hardenability, both properties being linked with the high tungsten addition. 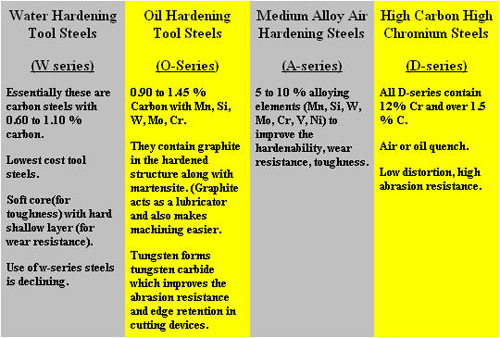 The special high carbon steel O6 has high silicon, added partly to increase hardenability and also introduce graphitization of part of the carbon, thereby improving machinability in the annealed condition and wear resistance in the hardened condition. Graphitization invariably must be avoided in tool steels, otherwise carbon, which is essential as carbide or in the martensite, will be depleted. This steel is unique in this respect. After annealing there will be about 0.20% carbon present as free graphite. This steel contains 0.25% of molybdenum which improves hardenability. 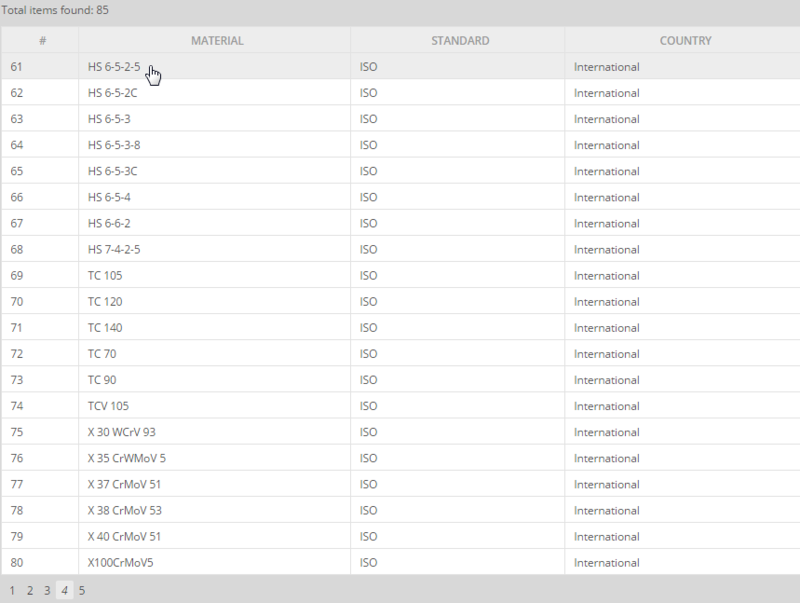 Table 1: Cold work tool steel types, according to the US UNS, AISI and SAE classification. 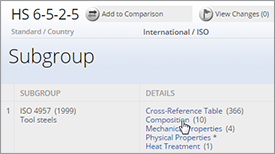 In this group, a large number of steels supplied by tool steel manufacturers fail fairly close to the classified specification, although they may not fit in exactly with the analyses. This group of steels is used to cover a very wide range of applications, especially for cutting and forming tools for cold working steel and other metals, including relatively intricate tools and gauges. The steels are safe to harden, even in intricate sections and are classified as non-deforming. With carbon around 0.9% all of these steels, O1 and O2, have hardness and toughness similar to the plain carbon W series steels. 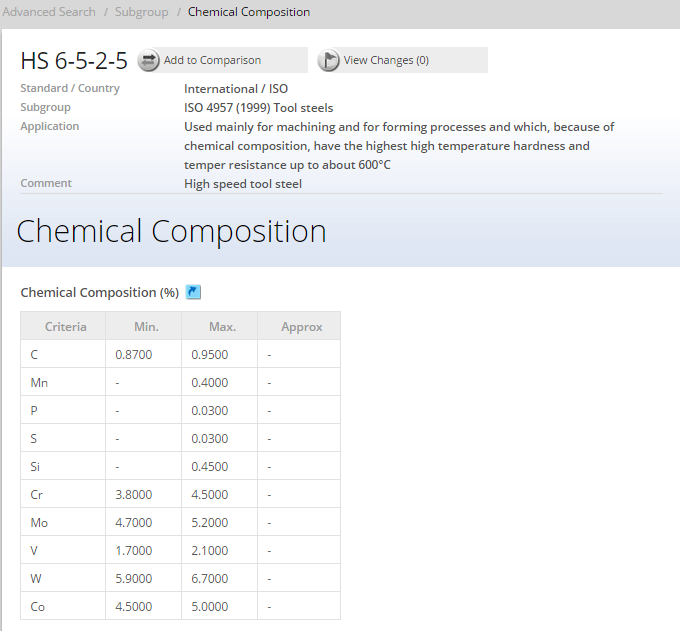 The manganese gives sufficient hardenability to allow oil quenching, and, as it increases to the top limit of the O2 specification, provides steel with an absolute minimum in dimensional change. Today tools made of cold-work and high-speed steels need to fulfill ever-increasing requirements. On the one hand, this is a consequence of more modern production facilities and optimized manufacturing processes. On the other, these stem from constantly increasing demands made on the quality of the products to be manufactured. As a consequence, the use of the right steel with the best performance for the tool application is decisive and ensures a length of the tool's service life and an economic production with reduced unit costs. 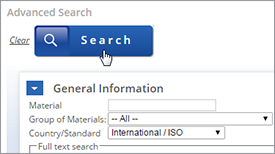 The correct alloy composition is of utmost importance in order to attain steel’s material properties which will be most appropriate for the application required. 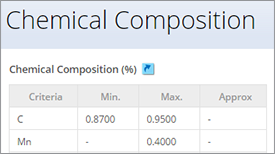 These properties can be fine-tuned through calculating the varying quantities of the elements used in an alloy, such as chromium, molybdenum, tungsten and vanadium. Besides overseeing the optimal proportioning of the main elements, close attention is paid to keeping undesirable accompanying components to an absolute minimum. This approach enables the supply of cold-work tool steels and high-speed steels for virtually every need and application. Cold-work tool steels are employed at operating temperatures reaching around 200°C and are characterized by high levels of wear resistance. 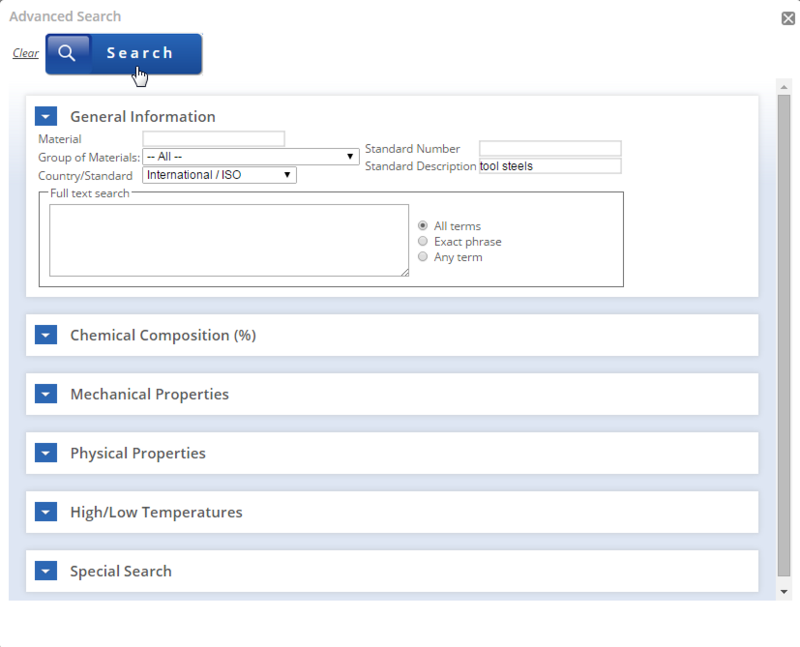 They also show good toughness properties depending on the intended application. High-speed steels consist entirely of high-alloy tool steels, which retain necessary high working hardness of approximately 60 to 67HRC at operating temperatures of nearly 600°C. Their operational characteristics partly stem from a high carbide content resulting in very high wear resistance. 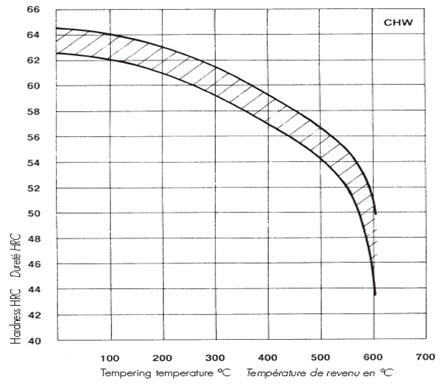 Figure 1: Tempering diagram of high chromium cold work steel X210CrW12. Cold work tool steels are used for gages, blanking, drawing and piercing dies, shears, forming and banding rolls, lathe centers, mandrels, broaches, reamers, taps, threading dies, plastic molds, knurling tools. Applications also include moulds for wire cutting, rolling cutters and shaping wheels in steel tube industry, and wheels, screw moulds, drawing dies in screw industry. 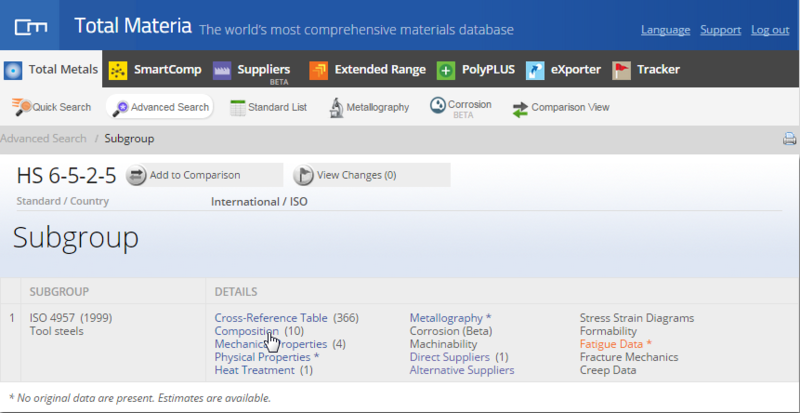 Table 2: The common properties of cold work tool steels.